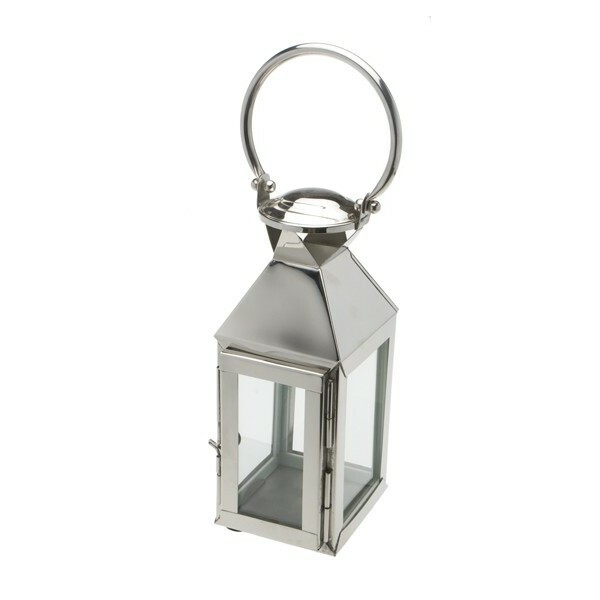 Brightly polished chrome effect and glass lantern with a foldable handle. 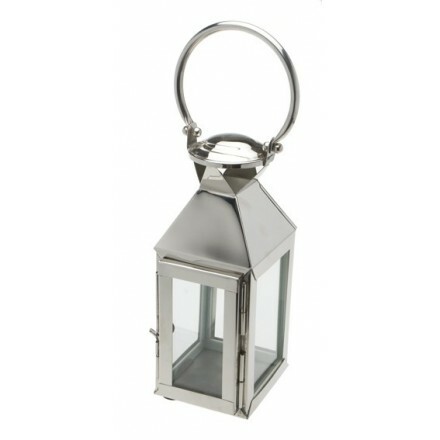 W 11cm, H 40 inc. handle or 28 cm to top of lantern), D 13cm. Beautiful for outside on summer evenings when the light fades. Ideal for use with a short stubby church candle or a selection of tea lights (not provided). Opens by sliding the catch on the right front hand side of hinged door. Not suitable to be left outside.